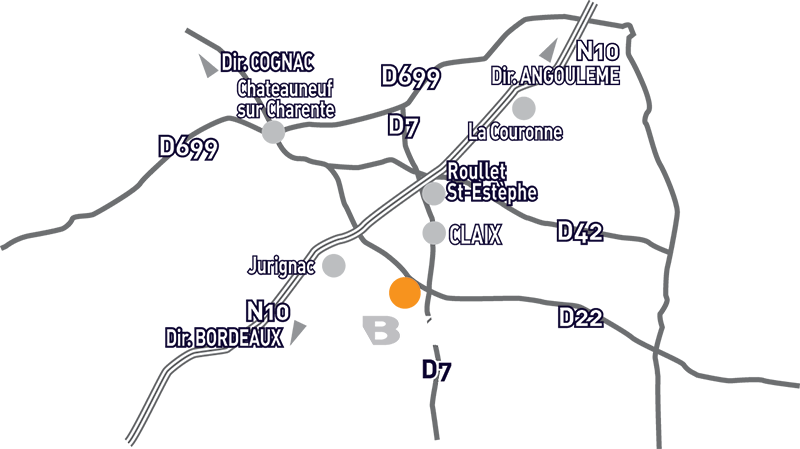 Find out the secrets of the world’s most prestigious eau-de-vie in the heart of an independant, family-owned estate. We realise each step of the process to keep a full control on the quality of our Cognacs. Learn how to make wine and the specific distillation process. Then, discover the secrets of aging and the art of blending in our own cellars. The tour ends with a comented tasting in the shop of the estate. Complete tour of the estate. Tasting of a VSOP Cognac from our estate..
Tasting of 3 Cognacs from our estate..
Tasting of a special selection of Cognacs from our estate. Blending session assisted by our Cellar Master. You will find our all the products from the Domaines Francis Abecassis range: Cognacs, Pineaux, Liqueurs, Vodka and Gin. Visites: Visits: All year round from 9am to 5pm on weekdays. Shop: All year round form 9am to 5pm on weekdays.